For thirty years, Dr. Walker has worked to integrate mindfulness and the psychology of meditation into psychotherapy, education, and healthcare. 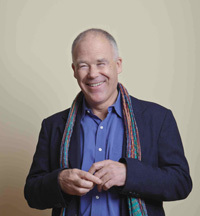 Co-founder of the Healing and Cancer foundation, he has worked with the Nova Scotia Department of Health, taught at Dalhousie University, Acadia University, the Counselor Training Institute and within the Shambhala community. He recently co-authored the highly acclaimed book, The Healing Circle: Integrating science, wisdom, and compassion in reclaiming wholeness on the cancer journey. With a private practice in psychotherapy and a mindfulness based stress reduction clinic in Halifax, he teaches meditation retreats and mindfulness workshops across North America. To heal is to reclaim already existing wholeness.The Healing Circle is a container of loving-kindness that holds you and honours all of you just as you are so that you can awaken to the light of your true nature and flourish in the world. 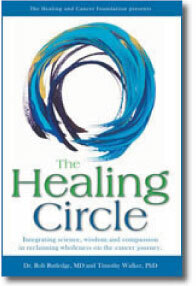 The Healing Circle helps answer the question ‘how can you heal after a cancer diagnosis?’ The book integrates the scientific perspective of traditional medical care and healthy lifestyle habits of an Oncologist/Associate Professor of Medicine with the wisdom-based techniques and teachings of a Psychotherapist / Healer. Following the agenda of a “Skills for Healing Cancer Weekend Retreat” this book also offers inspiring true stories of people attending the program. Its practical and integrated approach maximizes the chance of recovery from cancer – and allows the cancer journey to be viewed as a journey of the spirit.